Where does the time go? It was exactly five years ago that I was in London, Paris, and Cardiff. I had invited my friend Steve to tag along, as it was his first trip to Europe and my third time in London and fourth time in Paris. Cardiff, however, was a first for both of us. I had once passed through the Welsh countryside by train en route to London, but had never alighted in Wales. When Steve suggested adding Cardiff onto the itinerary, who was I to disagree? Our hostel, NosDa, was set back from the River Taff and directly across the water from Millennium Stadium. I would imagine the area to be quite raucous during a Cardiff City Football Club game, but we lucked into having the whole place to ourselves despite visiting during high season. 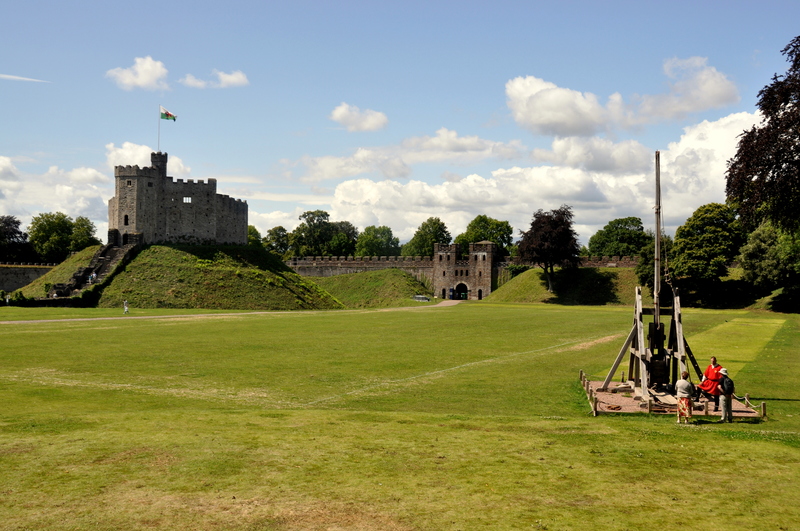 An easy walk from NosDa Hostel took us to the city’s main tourist attraction (aside from the footy arena), Cardiff Castle. 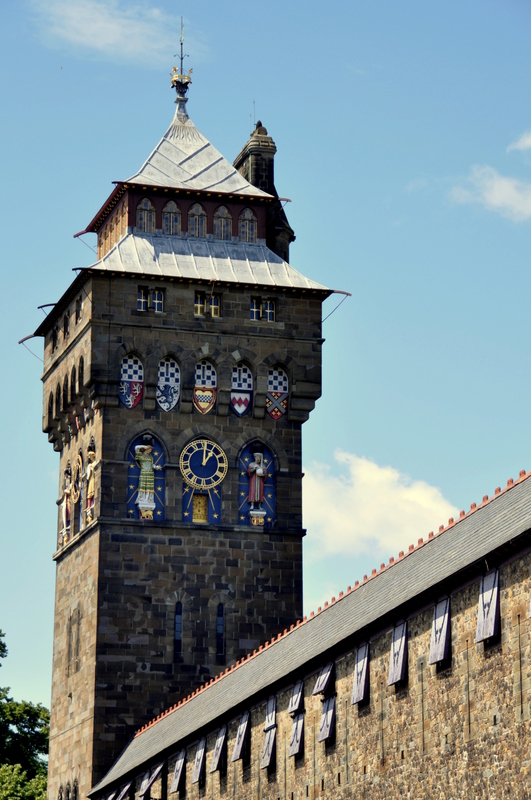 The classic medieval tower, above, is decorated with city colors and is Cardiff’s iconic equivalent to London’s Big Ben. The castle walls are fully intact, and inside them lies this even more medieval castle keep. 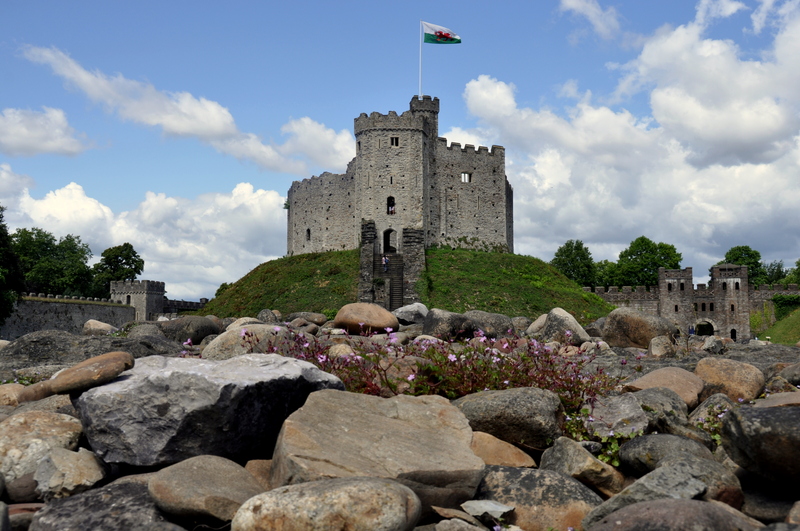 It is believed that the keep was built by Norman invaders during the 11th century. View from the castle keep, part one. 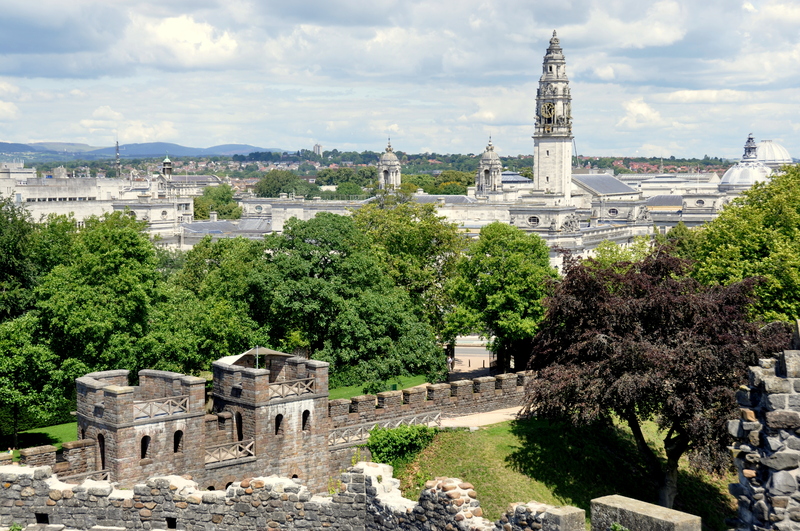 The dome on the upper right is part of the Cardiff National Museum – free and worth a visit as well! View from the castle keep, part two. 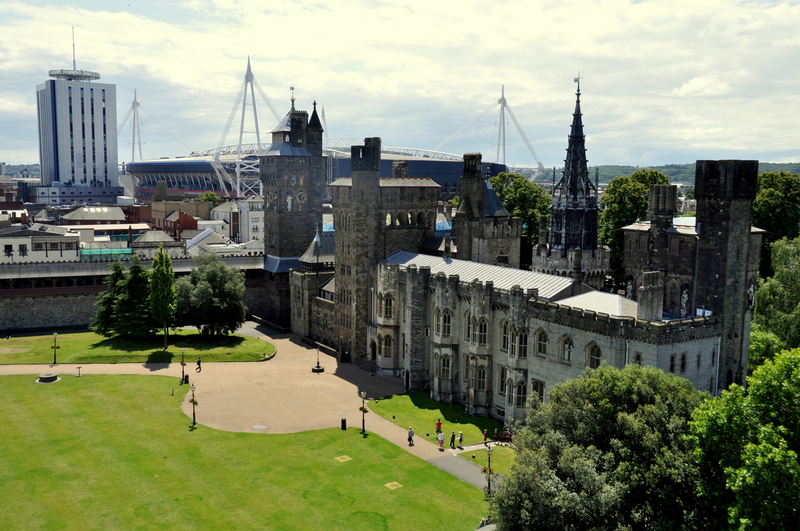 Millennium Stadium dominates the cityscape from just across the road, while the Victorian Gothic mansion in the photo houses the state apartments. The state apartments are open for visiting. You shouldn’t expect Versailles-style opulence; the digs here are more in the style of “medieval hunting lodge,” if that is in fact a style. Witness the dining room, above, with its simple chandeliers and beamed wooden ceiling. 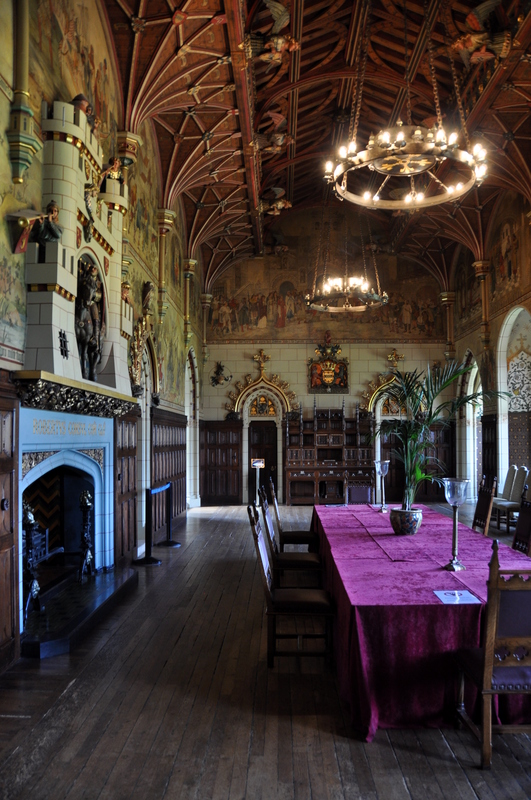 Wales, along with the rest of the UK, has seen its fair share of wartime atrocities. 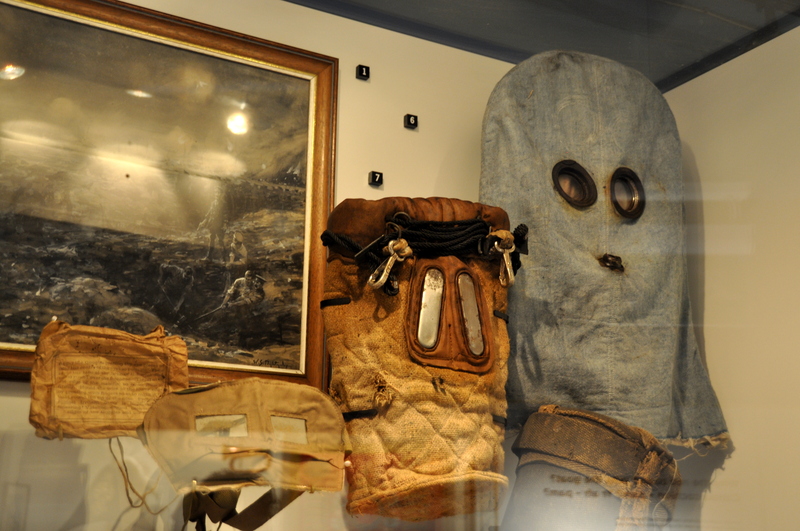 A exhibition hall along the southern wall houses an impressive regimental museum featuring WWI-area gas masks, among other items. 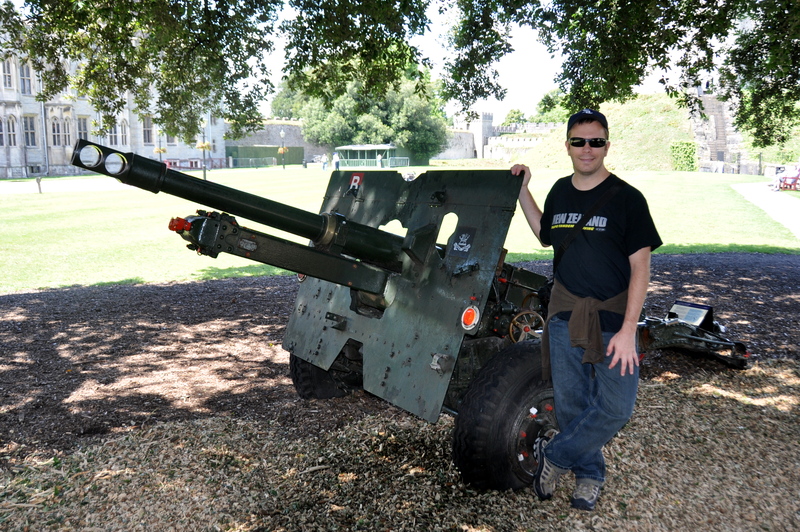 This mobile cannon dates back to WWII…while the gringo dates back to 1975. The grounds cover several acres. Can you find the docent, dressed in hangman’s attire near the guillotine, in this picture? 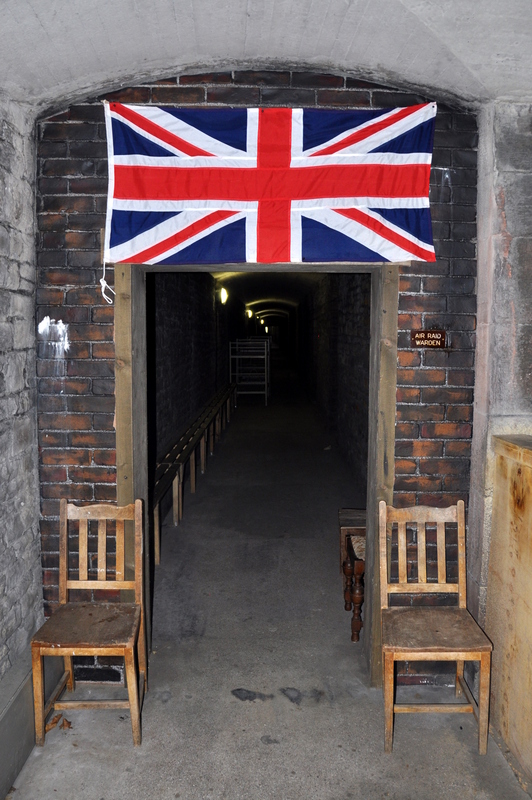 Union Jack and air raid shelter. 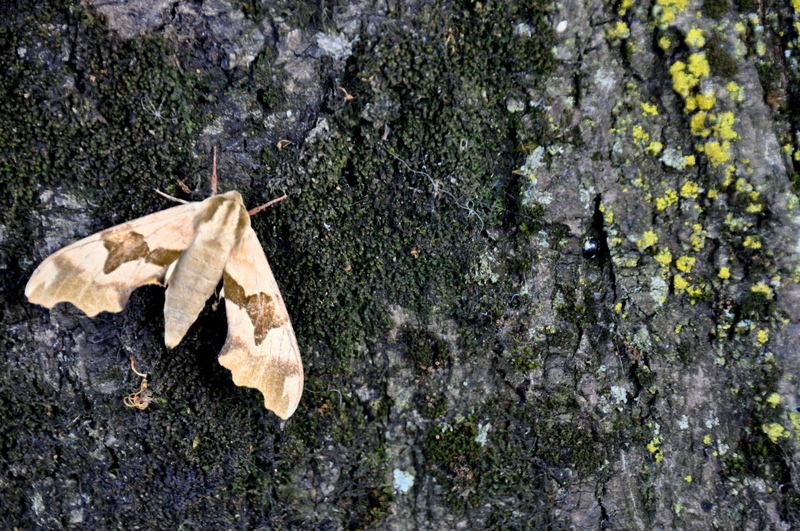 This friendly moth was taking a siesta on one of the trees lining an outside wall. 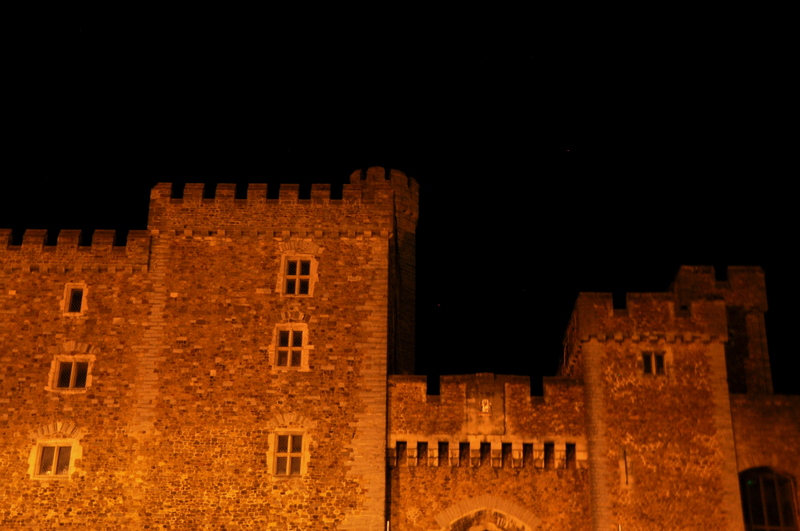 Cardiff is rather sleepy come nightfall, but Cardiff Castle casts an memorable spell by moonlight. My visit here was a highlight of our July, 2011 Eurotrip. All pictures were taken with a Nikon DSLR camera. All images are the property of GringoPotpourri unless credited otherwise, and should be used with permission only.